A toast to resourcefulness, to remaining unruffled in a sea of storm, All Is Lost stands out as a superbly intriguing adventure drama. And it is also a spectacular tribute to Robert Redford’s powerful screen presence. With his scarce monologues, harking back to soliloquies in Hamlet-fashion, tough but terse, he pulls off this refreshingly novel film with class. One aging man pitted against nature, Redford’s magical personality weaves a tapestry of emotions, feelings, thoughts, and a heavy premium on words notwithstanding. be a family member—begging as though for their understanding of him being right, strong, kind, and loving. When the now commonly littered word of everyday speech, that four letter expletive – FU$& – is hurled at the unrelenting elements, the audience has an unnerving feeling that the film’s title has at last come true, arising a fresh wave of empathy with this embodiment of rough and wrinkled masculinity, lending to the film the quiet dignity of its sole cast. It goes to the credit of the Academy Award-nominated Director J.C. Chandor as also to the protagonist’s mesmerizing screen presence that with little use of words or supporting cast mammoth emotions are woven into the warp and woof of the film’s texture. 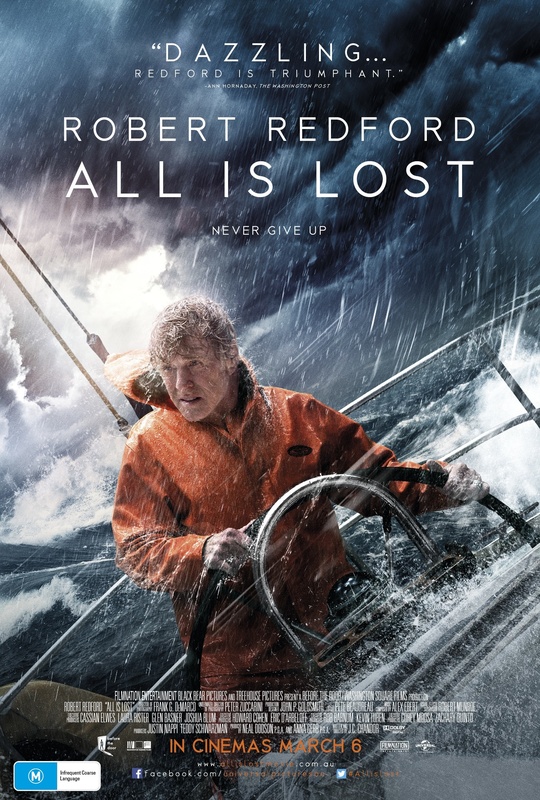 A delineated character, a lone yacht, temperamental sea waters and excellent visual effects combined with a wonderful soundtrack for those fascinated by sounds at sea, All Is Lost turns out to be a cinematic triumph. 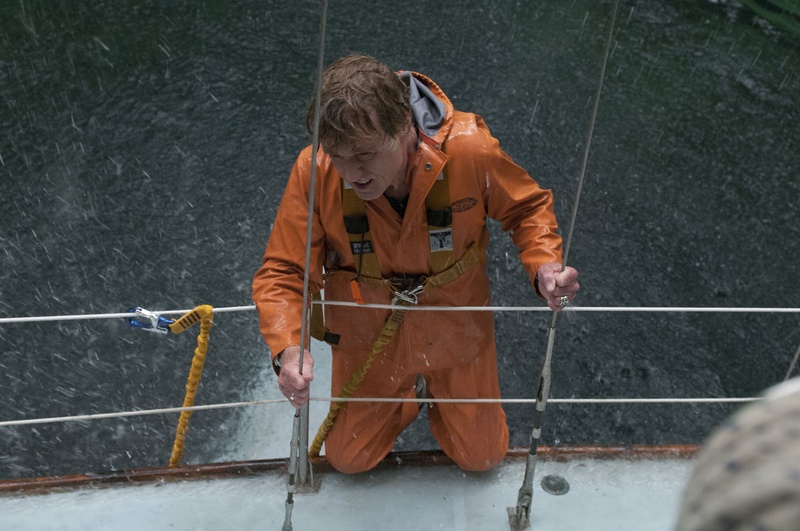 All Is Lost releases in Australian Cinemas on March 6, 2014.